Tell me three things you love about linen. Now, I can think of the one thing that you aren’t crazy about. The fact that it wrinkles very easily. I think you accept it as part of the charm, or go insane by trying to continually iron pieces until each crease is removed. Just know, as soon as you get in your car, and then leave it, the wrinkles are going to be there again. I think accepting it as part of the style and material, you can then, ENJOY linen. Linen /ˈlɪnɪn/ is a textile made from the fibers of the flax plant. Linen is laborious to manufacture, but the fiber is very absorbent and garments made of linen are valued for their exceptional coolness and freshness in hot weather. ( Perfect for the South!) 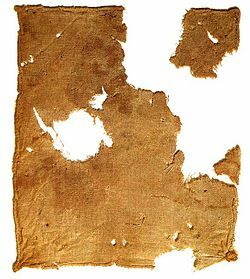 Linen textiles are some of the oldest in the world, and were used as currency in Eygpt for a time. 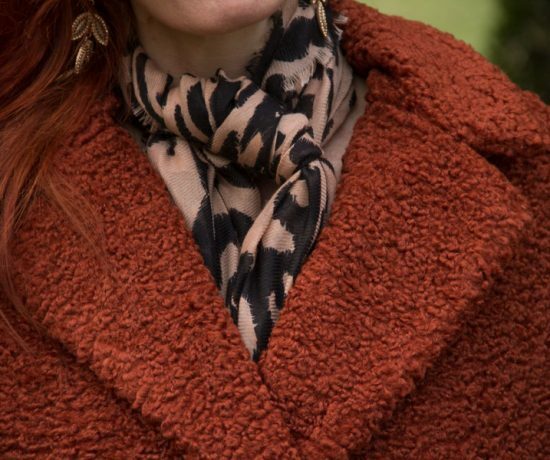 It has been scientifically proven to be a cooler fabric than that of silk or cotton. Linen is an age old fabric, dating back over 36,000 years ago. In the Fashion world, only 5% of linen production was used in the 1970s until the 1990’s where the usage changed to 70%. 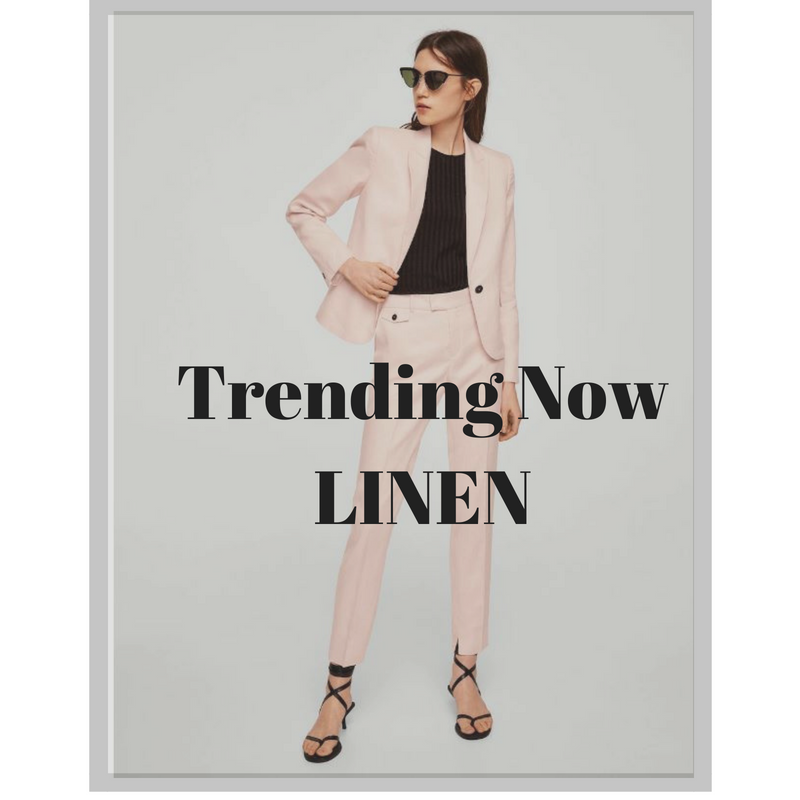 It now seems that linen is popular once again, as the weather gets warmer and we are looking for fashionable ways of keeping cool. I have been doing a little bit of shopping here and there for the season, as I will for summer, and linen pieces are popping up everywhere. I really do love the look of a linen blazer with some paper bag waist shorts.. very tailored, very classy. But here in the South, I imagine myself only wearing the blazer with a cami underneath if going out at night, or perhaps in an air conditioned restaurant or movie theatre. Love this classic structured jacket in a pale pink shade. Pretty with shorts, trousers, white jeans etc. Blue Striped Midi dress– This one is on my summer wish list. Love the ease and style. I am picturing this with my white lace espadrilles and straw bag. This top has caught my eye. 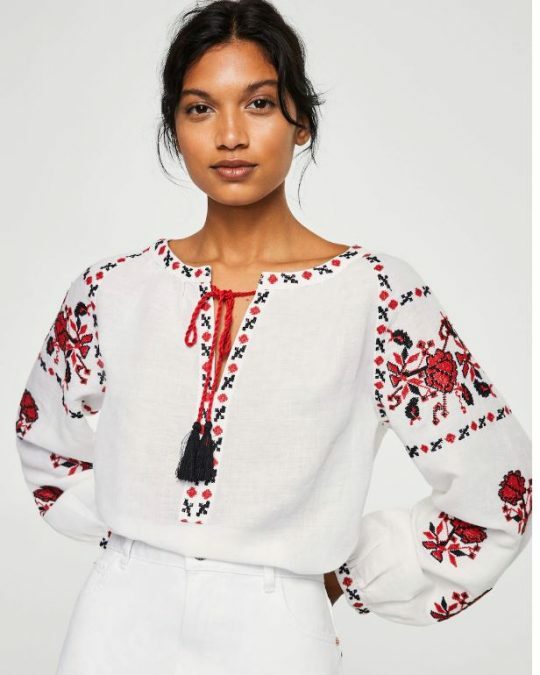 I love the embroidery and it reminds me of a print from the Ukrainian Tambouritzans. i love the blue green color of this dress. 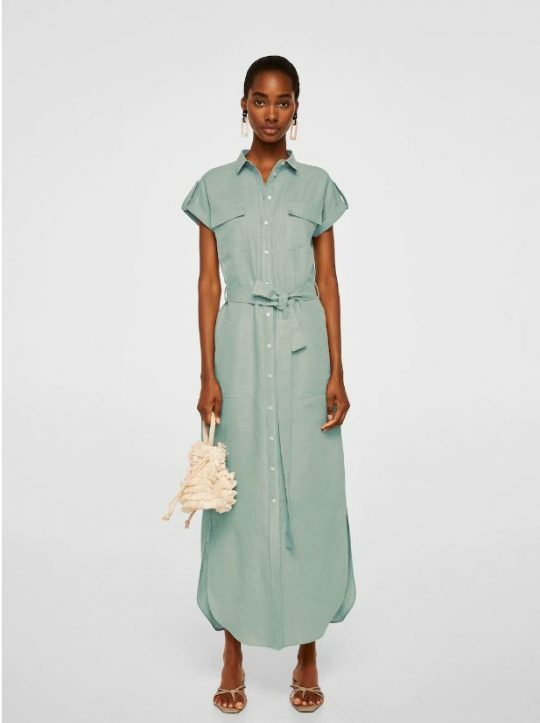 You could also wear it as a linen duster with pants and a tank/cami. Isn’t this jacket smart and wouldn’t it look great with a pair of white linen trousers or light jeans? I will probably add 2-3 new linen dresses, as this is what I am more apt to wear in the summer months. – so being cool can take on a different meaning! So, if you enjoyed this “Trending Now” piece , here are some other Trending Now posts for you to peruse. 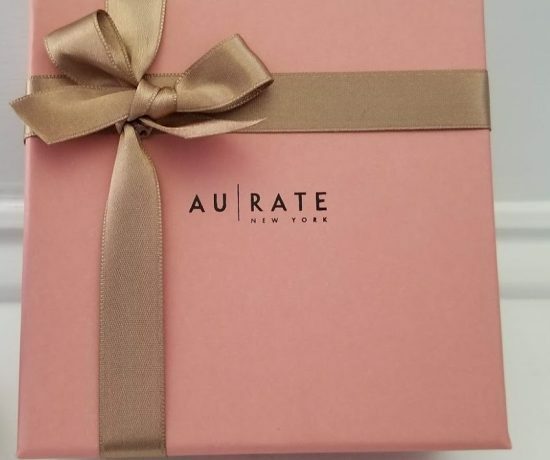 Thank you for your comments, I love to hear from you! Thank you so much for linking up to #Fakeituntilyoumakeit Jess! I’m sooo loving this trend right now, so cool and comfy to wear, especially the midi dress. That blue striped midi dress is such a cute piece! So funny, as soon as i read the title of your post I thought of how much I love the idea of linen but hate the wrinkles, lol!!! 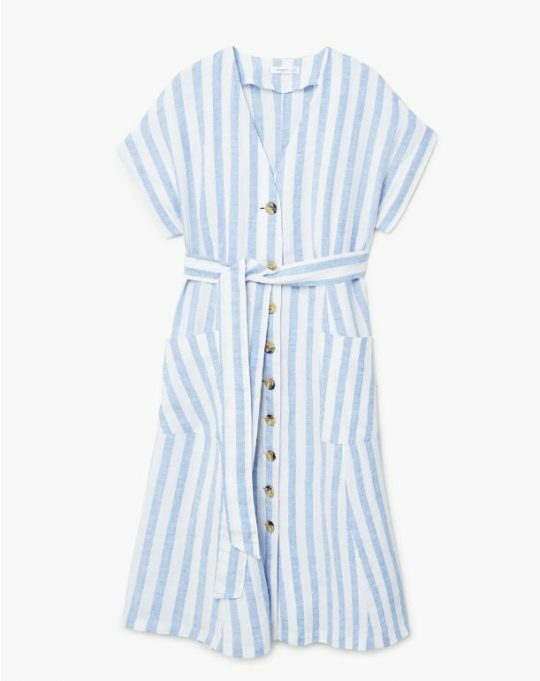 You have featured some really pretty pieces, I especially love the blue and white striped dress, wish it was in my closet now! Linen is nice and cool especially in hot, humid Florida! Great post – so informative! Linen is so classic for summer! 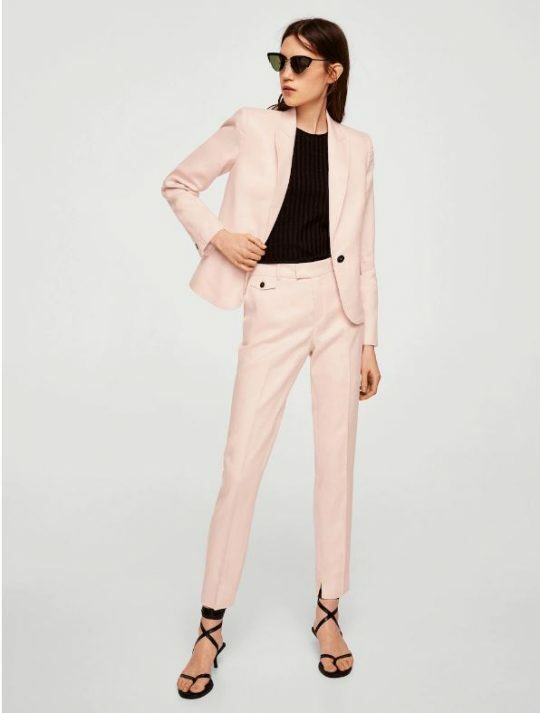 I love all of these pieces, but the pink pantsuit is my favorite! Have a great weekend Jess! I remember when I didn’t like linen because it wrinkled…ha ha! Now I’m trying to embrace my wrinkles whether they are on my face or on my clothes! !